It is not by chance that this initiative and project will start and take place in Mainz/Germany, the hometown of Johannes Gutenberg and and the hometown of the Culture of Communication. It is a line extension of our ValueAcademy work thousands of professional from 30+ countries joined already. Today, almost everyone thinks that communication has a high value. But most of us don’t know how to identify and how to use the real value of communication to optimize the business success. As digital natives, everyone uses Facebook, Twitter and many other digital platforms, however; being a smart communicator is something else beyond Facebook, which requires to be not only a digital native, but also to be a digital savvy by using relevant online platforms effectively after learning the real value of communication. Value Communication AG offers an idea under the name of ”ValueCamp“ so as to convert smart technologies into smart communication on track of learning the real value of communication. ValueCamp supports candidates to learn in the most effective and most profitable way by focusing on high technology and media usage skills and bringing art, culture and communication together. It is a new approach. Based on decades full of practice and experiences in valuable communications. And last but not least: we respect always all kind of skills and the talent of ValueCamp attendees to get enriched. — We promise: ValueCamp gets the best out of you! 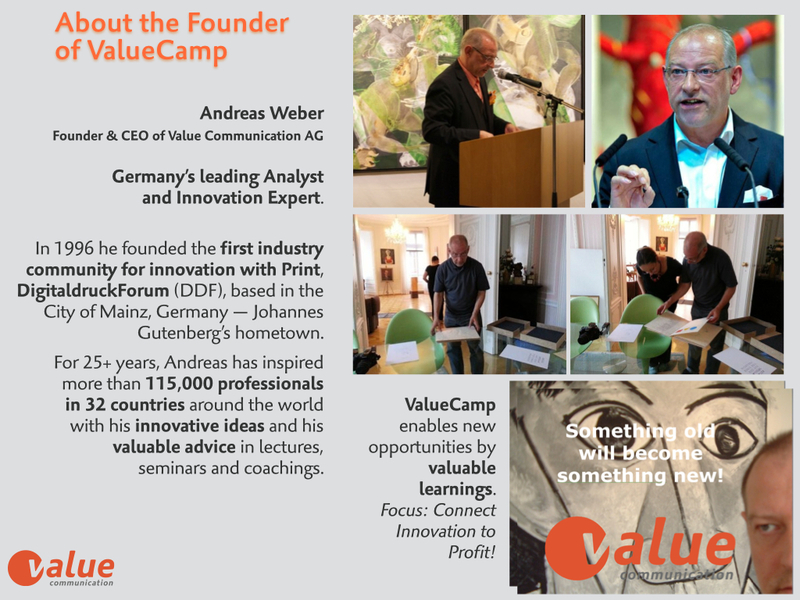 ValueCamp can be done all year around, with individuals or in groups of up to 7 participants and time between 2 weeks (groups) and 12 weeks (one to three participants) accompanied with a professional analyst and the CEO of Value Communication AG, Andreas Weber. Even One-to-One Coachings are possible. As a first candidate of ValueCamp, Şükran Ceren Salalı from Istanbul has published her new interactive iBook The Real Value of Communication — Experience our game changing scenario: Mainz– Hometown of the culture of communication in which she explained her value learnings about the real value of communication during her stay in Mainz and her Value Camp experience for 3 months in Summer 2014. Mainz is a perfect city to experience the real value of communication with the rich culture and history behind. Based in Mainz, the ValueCamp organizer, Value Communication AG, is an international research and knowledge mediation service provider for communication and interaction (mainly in B2B) and, already being in good relationships with talented professionals specially from China, Turkey, Brazil and last but not least Germany (Mainz); Since 2009, we have coached and promoted students and post-graduates from Turkey and those from Germany who studied in foreign countries and came back to find a job. 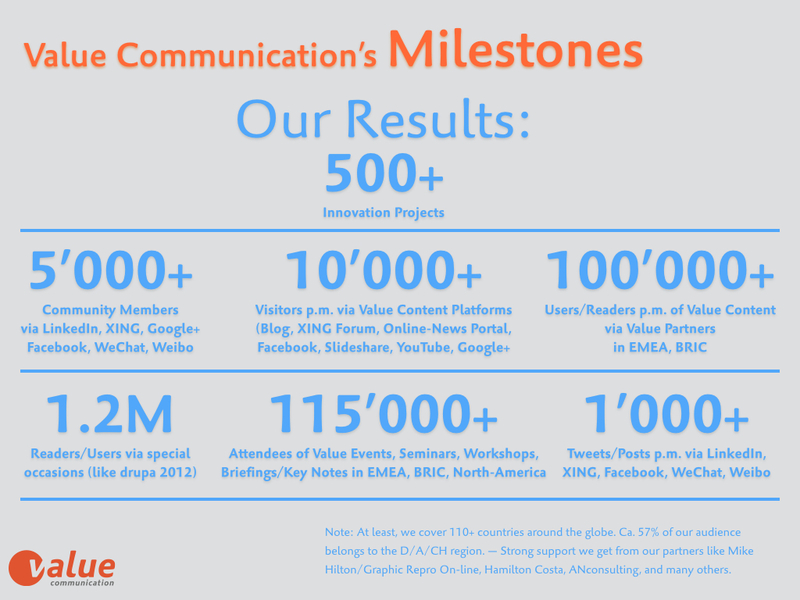 Beside this we advised and supported since 1995 young Creatives to start-up their own communication service businesses. They benefited from our profound experience and insights to optimize their own business models and to speed up their go-to-market success. It is related to the well known ValueServices “Advice, Knowledge, Connectivity“ which are to be used by “Rent-a-Brain“ or by project business for clients. Subscribe for free to our ValueTrendRadar blog, one of the best knowledge compendium for communication, art and culture (posts in german and english language). 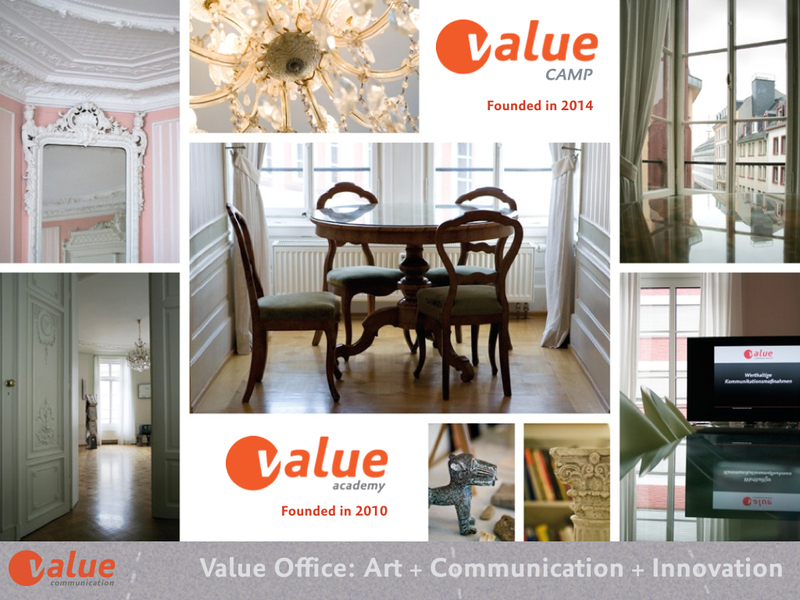 Download for free our amazing interactive Value Art+Com iBooks. Specially “The Real Value of Communication” and the “ValueTrendRadar iBook“. Book a personalized workshop or coaching to catch the spirit of the real value of communication (Face-to-Face in our beautiful office or via Webex online session). Costs: Between € 200.00 and € 1,500.00 plus V.A.T. Experience in a smart way how to benefit from our smart knowledge and to become a smart communicator. Note: Our ValueCamp services are also available for companies. We recommend to start with a ValueCheck and ValueTalk to identify quickly the real demand and needs and to create a roadmap for companies learnings and tasks. PS: We had the pleasure to present ValueCamp as a Start-up project on August 21st., 2014 in Mainz at “Gründergrillen” event. The around 100 attendees liked it and welcomed it!